After the approval of exempting Vietnam visa for foreigners who traveling Phu Quoc Island since March 2014, the number of tourists to the Pearl Island in Vietnam increased significantly. More and more travelers get Vietnam visa to visit Phu Quoc and explore the wonderful destination. According to the decision of Mr. Nguyen Tan Dung Prime Minister of Vietnam, foreigners and Vietnamese owning foreign passport coming to Phu Quoc Vietnam are free from Vietnam visa in 30 days. This creates favorable conditions for tourists to travel and enjoy wonderful holidays in the beautiful island. Phu Quoc is one of the most famous destinations in Vietnam. The island possesses pristine and charming beaches along with many amazing natural landscapes and well-known historical sites. Phu Quoc is also famous for a series of hotels and resorts from luxury to budget ones, and a diverse local cuisine. 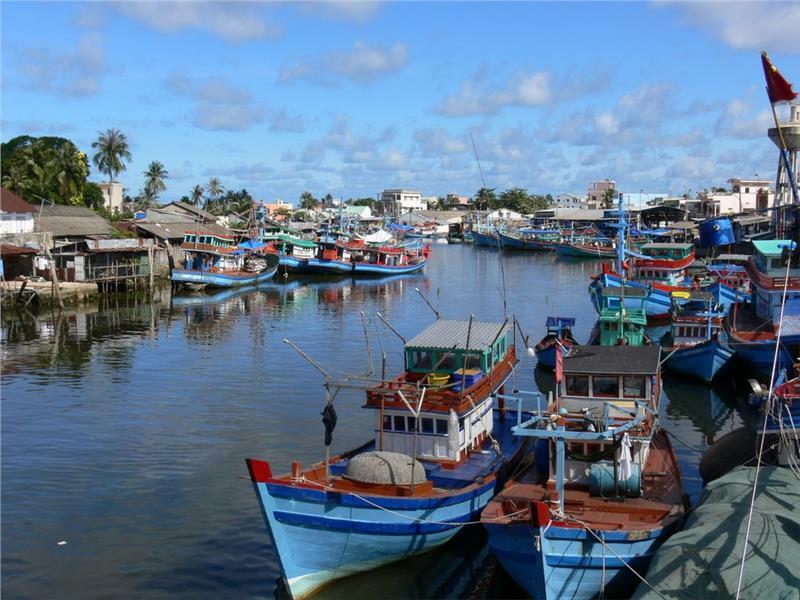 As in the general socio-economic development plan of Kien Giang province, Phu Quoc will become a specialized administrative economic zone by 2020. It is expected that by 2020, Phu Quoc will have welcomed about 2 3 million of tourists per year. By 2030, the figure will be 5-7 million. In the decision on exempting visa to Vietnam of Prime Minister Nguyen Tan Dung, he also mentioned that in case foreign tourists entering a border gate of Vietnam (either by air or by water), staying at the transit area then traveling to Phu Quoc will be exempted from visa. Previously, foreign travelers to Phu Quoc were free from Vietnam visa for only 15 days (2005). The change in time stay at Phu Quoc is an ideal condition to promote tourism in Phu Quoc. It is obvious that by dint of the favor in exempting visa for Vietnam in Phu Quoc, the number of tourists coming to Phu Quoc will rocket, resulting in the lack of accommodation and services. Therefore, in addition to administrative procedure, Phu Quoc needs investments in infrastructure and diversity in services to meet the tourism development plan in particular and economic development of Phu Quoc in general. Vietnam will continue exempt visa for tourists from other countries. Simultaneously, it is necessary for the country to innovate the process of issuing visa to appeal more foreign tourists, contributing to the development of tourism in the new period. At present, Vietnam visa exemption is applied to 17 countries, including 10 ASEAN country members. The Vietnam tourism industry is proposing the government for issuing visa exemption for tourists from France, Germany, British, Spain, Italy, Australia, New Zealand, India, and Canada to contribute to the development of tourism in Vietnam and recover the market in the hard time.